High Performance Web Sites: Essential Knowledge for Front-End Engineers by Steve Souders While load testing is primarily concerned with tuning tuning the back end, there are numerous things that can be tuned on the front end as well. This book is the bible on front-end tuning and represents the state of the art in browser performance. The Every Computer Performance Book is a good introduction to performance testing and tuning using common sense logic. Almost all of the problems in performance testing are not caused by equipment or software, but rather in poor test plans caused by a lack of understanding of the testing process. This book will save you a lot of time. Performance Testing Guidance for Web Applications by Microsoft Press Performance Testing Guidance for Web Applications provides an end-to-end approach for implementing performance testing. Whether you are new to performance testing or looking for ways to improve your current performance-testing approach, you will gain insights that you can tailor to your specific scenarios. High Performance MySQL by Baron Schwartz (Author), Peter Zaitsev (Author), Vadim Tkachenko (Author), Jeremy Zawodny (Author), Arjen Lentz (Author), Derek Balling (Author) In any large, super scalable web-based application the database is arguably the most important piece of technology, and is the difference between a site than can handle 100 concurrent users or 10,000. This is a must read for anyone designing a MySQL database. Speed Up Your Site: Web Site Optimization by Andrew B. King, Jakob Nielsen Covering a wide variety of techniques, this book describes many of the common causes of slow pages and how to avoid or remedy them. While not specific to load testing, it is a valuable reference for those who have the task of making a site faster. Many of the methods provided here are simple but rarely implemented - they should be! The website has a bunch of resources and online page analysis. Professional Web Site Optimization by Scott Ware, Michael Tracy, Louis Slothouber, Robert Barker Although this book was published in 1998 it still holds up as the best introduction to web performance tuning. It covers a wide range of topics, and covers everything you need to know to get started load testing. The age of the book means it doesn't cover some new topics, but surprisingly enough most of the book is still relevant. If you are new to load testing and don't know where to start you should purchase this book first. Web Performance Tuning by Patrick Killelea Published in 1998, this book is one of the best for web performance testing, covering the technical basics for everything you need to know in order to really understand performance tuning. It includes such required information as definitions of various performance metrics, and what those should be in the real world, and moves along through networks, hardware, and operating systems. It goes to great pains to cover a variety of systems, including Windows, Linux, Macintosh, and a variety of web servers. ColdFusion MX: The Complete Reference by Jeffry Houser Alhough this book is specifically about ColdFusion, it does have a chapter on performance, and gives details how to both monitor and test the performance of a ColdFusion server. The basics of performance testing with Web Performance Trainer&trade are presented in context, showing how and why it should be used in a professional setting. We've gotten good customer feedback on this book. The Web Testing Handbook by Steven Splaine and Stefan P. Jaskiel This book is about web testing in general, not just performance testing, and is a must have for the professional testing engineer. 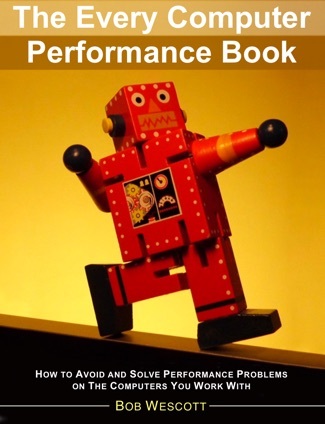 Chapters 7 and 8, on performance and scalability give a very good introduction to the subject, and include a great sample performance testing plan. Test Planning for Internet-Based Systems by Hung Q. Nguyen As its title would suggest, this book is all about test planning for all types of internet based systems. Its chapters on performance testing give a lot of details about planning a performance test and analyzing the results, including examples. If you really are interested in doing a complete and thorough performance test, this book is required reading. Capacity Planning for Web Performance: Metrics, Models, and Methods by Daniel A Menasce, Virgilio A. F. Almeida This book is a collection of technical articles on the theory of performance testing, and a good addition to the library of someone interested in the scientific and engineering aspects of web performance.